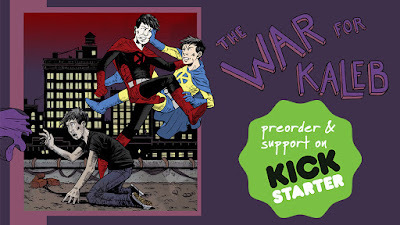 The War for Kaleb: A Superhero Story About Anxiety Kickstarter launched last week! We are already at almost half our goal! 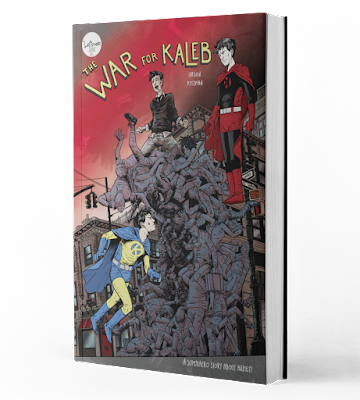 Kaleb is a young man with an anxiety disorder that is followed by superheroes that aren't real. When he falls in love with Addey, he begins to question the validity of his feelings, and relationship, and leaves behind the medication he has been taking most his life. In his decision's wake, the heroes fight for control of his well being while the real world leaves Kaleb behind. Please check out the Kickstarter, and share however you can. We are getting close! Thanks for looking!